Just a year ago, Black people showed up and showed out for the billion-dollar success that is Black Panther. 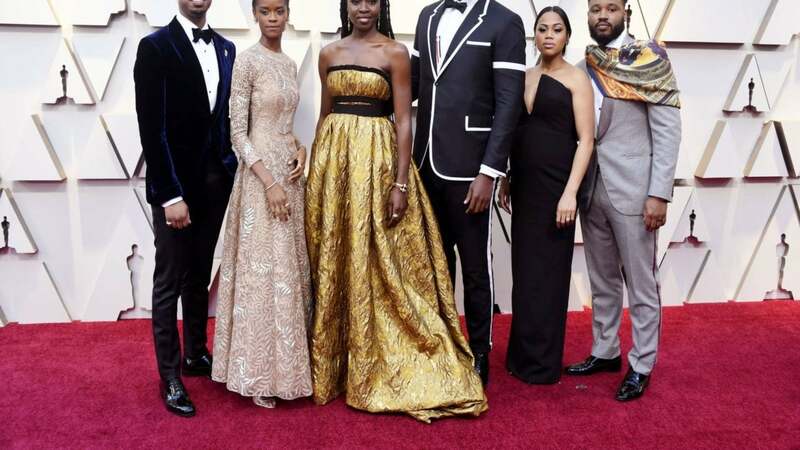 The movie exuded it all, #blackgirlmagic, #blackexcellence and more as we saw melanin faces who were royal and regal reflected back to us on the big screen. Witnessing a movie of that scale where Black people were at the center of their own narrative and a Black director was at the helm of the vision, generated an overwhelming response of support. For a community that rarely gets to see ourselves represented on screen in such a positive and powerful way, many of us felt that the movie would radically change Black representation in media – that our problem of not being invited to key tables had finally been solved. I will be the first to say that Black Panther was a proud moment of progression in our history, but we still have a long way to go. There’s a lot more that goes into creating true representation than the end result we see on screen. As a community, we must take a deeper look and do our research to find out if there are more faces that look like us behind the scenes and at the tables where key decisions are made. We are so proud of our trailblazers: the Ava DuVernays, the Ryan Cooglers, the Shonda Rhimes and the Issa Raes of our world for opening up doors, however, the data still shows true change has yet to come. White men still dominate behind-the-camera positions. In television, 89% of executive producers are held by white men. For Wakanda to truly be forever, we have to look beyond the melanin faces we see on our screens and do our research. If Black Panther grossed $1.23 billion internationally, how large of a piece of this billion-dollar pie did Black talent and professionals get a cut of? The director, actors, casting agents and costume designers were Black, but how about the attorneys, agents, managers, producers, publicists, and marketers? Did the studio spend their obligatory $20K – $30K with an African American PR freelancer or did the African American behind the scenes professionals make even 10% of the overall marketing budget? We made revolutionary progress in being represented in the production of this film, but we cannot stop here. We deserve more. Hollywood is hardly the only industry struggling to diversify. There have been only 15 Black CEOs in the history of the Fortune 500, of whom five are currently in the role. Even at smaller companies, African Americans hold an estimated 6.7% of the nation’s 16.2 million “management” level jobs. Diversity and inclusion have become buzzy words for many corporate entities, but we are taking meaningful steps in the right direction. Much of my work in the marketing industry working with the world’s biggest brands centers around getting a behind the scenes look at the people who greenlight and fund projects. Along the way, I have learned a few important lessons on how we can bust open the doors of opportunity and build true ownership for our community. The buzz of recognition feels exciting when we see our faces reflected back to us in certain positions. The music and entertainment industries are notorious for pacifying African Americans with shiny objects such as luxury materials or big figure contracts with no equity to distract us, but this is common in other fields as well. Too often, we are distracted by surface-level achievements meanwhile the truly important conversations are had behind our backs. We must ensure that when we are at the tables that we are creating opportunities for our sisters and brothers to join us as well. According to the Institute for Policy Studies, the wealth disparity between Black and white families will take 228 years to close, However, we have a real opportunity today to create multi-generational wealth if we keep our eyes focused on ownership for our community and demanding what we are worth. This means creating multiple streams of income, doing the research and negotiating for a higher income, investing in real estate, building wealth through entrepreneurship and making sure that our dollars circle within our community by buying Black. Black people have an annual spending power of $1.2 trillion, however yet again with the recent Gucci Black-face controversy, we are shown that our dollars are not respected. Angry social media captions and think pieces are great, but we must put our money where our mouths are. Buy Black and instead of purchasing the newest flashy logo as a status symbol, research and understand the values of the companies we support. It is well documented that brands cannot afford to lose favor or traction with our segment without the potential of a negative impact on their profits. We not only make an impression through our spending power but also in our influence, “our research shows that Black consumer choices have a ‘cool factor’ that has created a halo effect, influencing not just consumers of color but the mainstream as well,” Cheryl Grace, Senior Vice President of U.S. Strategic Community Alliances and Consumer Engagement, Nielsen has said. Thinking back to the brilliance of Wakanda, it’s clear that we’ve got the power. We’ve always had it. Let’s collectively use it to transform our community. Shante Bacon is the founder and CEO of two businesses — One/35 Agency, an insight-led marketing company specializing in creating communications and digital/live experiences to inspire and engage People of Color and elouise & ethel co. – a lifestyle brand celebrating legacy and community.